You can any Branding Package as your Default Global Branding Package. This will make change any media that have not been set manually to your new Default Branding Package. For more information please visit our Player Branding information page. 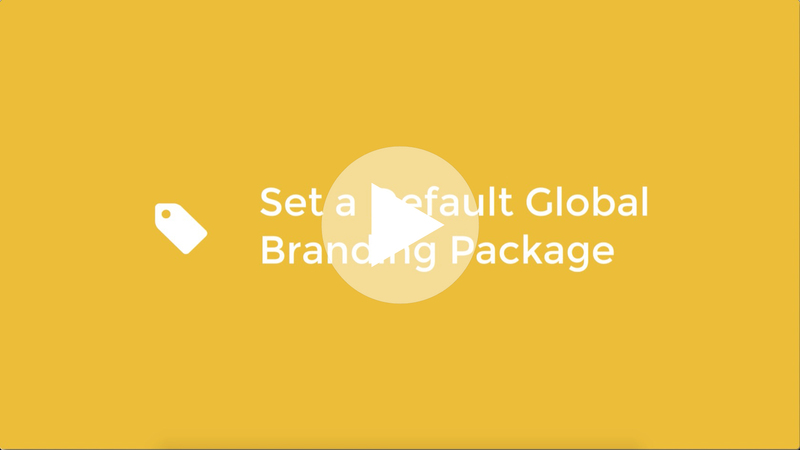 To change your Default Global Branding Package, go to the Settings tab. Here under Setup you will find the Brandings section which shows us the current packages available. If you hover your mouse over one of the packages you will see the Home Icon which allows you to change the default global branding package applied to all videos and playlists. A Dark Home Icon next to the Branding Package name indicated which package is currently active as your Global Branding Package. To choose a different Branding Package as default hover over your desired package name and select the Home button next to your desired package. You will be presented with a pop up information box asking you if you want to change the current default package to the newly chosen one. You also get the opportunity to revise any affected media by clicking on the Summary buttons. When happy with the changes, you can simply click on the green Confirm button to apply the desired changes. You have now changed the Default Global Branding to your desired Package.